With the blocking of over 50,000 product keys, Microsoft fights against a new form of software piracy. The 25-character code necessary to activate Windows or Office were sold as real licenses. 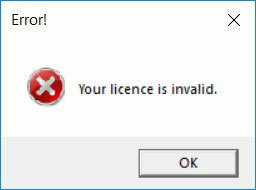 In reality, however, the product keys usually belong to time-limited licenses for trial versions or OEM licenses and have been illegally distributed. In addition, Microsoft has recently filed several lawsuits against providers of manipulated licenses and stopped numerous offers on trading platforms. Users can accidentally take considerable risks when using wrong product keys. Microsoft has been consistently combating the sale of illegal software for years. In the past two years alone, hundreds of thousands of counterfeit data carriers – above all Windows 7 Recovery DVDs – and counterfeit certificates of authenticity (so-called COAs) have been obtained. A new form of software piracy has emerged very fast: the sale of individual product keys as “real” licenses for Microsoft Windows and Microsoft Office. For the traders, this type of distribution appears to be particularly lucrative. Why? They do not have to produce and import counterfeit data carriers and thus exclude the risk of border seizure by customs. Even in the case of a scan, no fake volumes are found, but at worst lists of product keys. The manipulated keys are usually offered over the Internet as real software licenses. In reality, however, they are often part of time-limited licenses for trial versions or software developers, volume licenses for educational institutions or OEM licenses and are illegally distributed – usually without the knowledge of the actual licensees. You may also like: What are Junk Files and How to Clean Out them in Windows 10. A 27-year-old German student resold over the course of a year without permission licenses for Windows operating systems and servers. He was sentenced to two years probation and in addition, the young man has to pay a fine of 139.000 Euros. He had earned about 12.500 Euros with his illegal business. He was not particularly a smart scammer: He obtained free Microsoft programmes for scientific purposes via his University. He got more license codes from his fellow students – for some he paid, from others he copied the data secretly. He then resold them on Internet platforms for prices between 5 and 200 euros. All in all, the illegal business earned him around 12.400 Euros – he spends the money, according to him, on his rent and visits to restaurants. However, the student was not reported and discovered by his customers, but in the course of a regular review of the license downloads by his University. The US software giant Microsoft then set up a team of investigators to quickly locate the scammer. Most buyers of the sometimes sensationally low priced licenses do not have to expect consequences and many could continue using the programs. You should be alarmed if you see too good to be true offers. For example, if a retailer offers a Microsoft Office Professional license for less than 80 euros, you should be suspicious. This is sold by Microsoft only under volume license agreements and special programs for dealers and developers and has a market value of approximately 500 euros. Some retailers try to explain the low price by the fact that these are “used” licenses. However, they are usually unable to provide details on the source, nor can they tell you whether the keys belong to licenses for an indefinite period of time and in which form the allegedly used software was deleted at the time of the first buyer. Providers of illegal products face criminal and civil penalties. 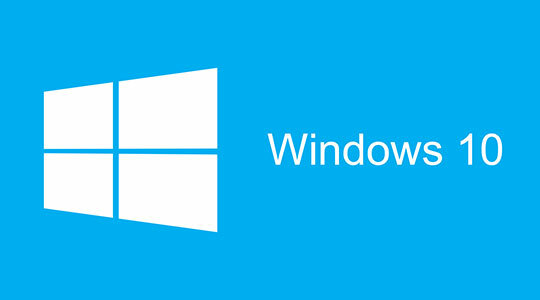 Manipulated Windows versions that contain malicious software have also been discovered. And even if customers buy product keys at bargain prices, the purchase price is lost in any case if the counterfeit is revealed and the product key is blocked. 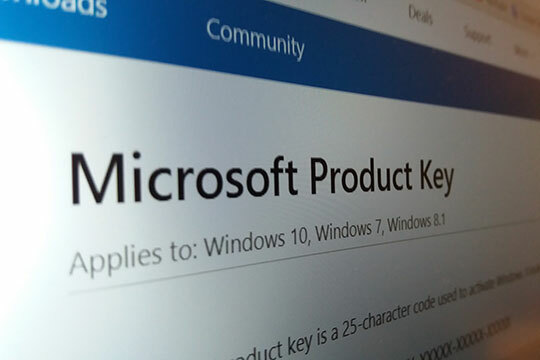 I see a lot of product keys over the internet in google images and I recently checked some if they are working and surprisingly one product key was valid and working and was able to download it from Microsoft website. It was office 2016 pro plus and the product is activated. Is it a crime? Yes, it is not a legal thing to do.